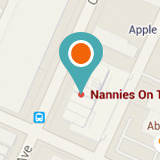 Looking for a Summer Nanny? With schools closed for the summer, one of the busiest times of year for families and Nannies is summer! Should you consider hiring a Summer Nanny? For working parents of school-aged children, the summer months can present a childcare challenge. So much so that savvy parents begin researching their childcare options after the first of the year, with requests for summer nannies peaking in March, April and May. For college students, especially those pursuing early childhood education or the like, working as a summer nanny provides a way to gain childcare experience while earning a salary that exceeds most other seasonal positions. Even while some parents opt to enroll their children in summer camps or daycares, others prefer their children to enjoy the summer months at their leisure, spending time in the backyard, getting together with friends and brushing up their academic skills. For these parents, hiring a summer nanny is their best childcare option. From summer camp to team sports to fun at the waterpark, your children want more than another “hall monitor”. A summer Nanny can be an active role model for your active children. There is simply no substitute for someone who can really understand, engage and have fun with them. However, now is the time to ramp up on the childcare options! Nanny Agencies and Nanny Candidates are all preparing now to get connected. Summer will be here before you know it! At least you can stop hunting for “that neighbor who watches kids in the summer” and find a better choice for peace of mind. But hurry, because the best nannies get taken quickly! Agency Fee: $1,000.00 flat – with the fee you receive all the bells and whistles with complimentary back-up care and a guarantee of a one time replacement search for free!